He made the Louisiana Purchase, but still no state named for him? Scandal! George Washington is the only president to have had a state named after him. It’s not hard to make the case for naming a state after him: a general who helped win the Revolutionary War, the first president, the man called “father of our country”—George Washington was getting made into a myth before he died. The myth-making really took off after his death. (Who really thinks he stood up in that boat while crossing the Delaware that Christmas? A poor role model for safety, among other things.) The city inside the new District of Columbia, where the federal government was going to be located, was named Washington in 1791, after the sitting president. Before that, the eastern half of what is now Ohio was given the name Washington County, in what was then the Northwest Territory. It failed to go on to become its own state, instead joining the new state of Ohio in 1803. It was the second attempt to name something Washington—Washington Territory—that occurred in 1853. With some subsequent adjustments, Washington Territory became what’s now the state of Washington in 1889, a mere 3,000 miles away from the first place named Washington. Couldn’t we have named it after a different president? Why didn’t we ever name another state after a president? Despite the political differences the United States has known since its inception, there are at least a few others most Americans could agree on, right? Our third president’s name would have looked good on a license plate, wouldn’t it? In fact, there are two presidents whose names have been suggested to honor proposed states. One is Abraham Lincoln, whose name was proposed for two separate states that didn’t make it. 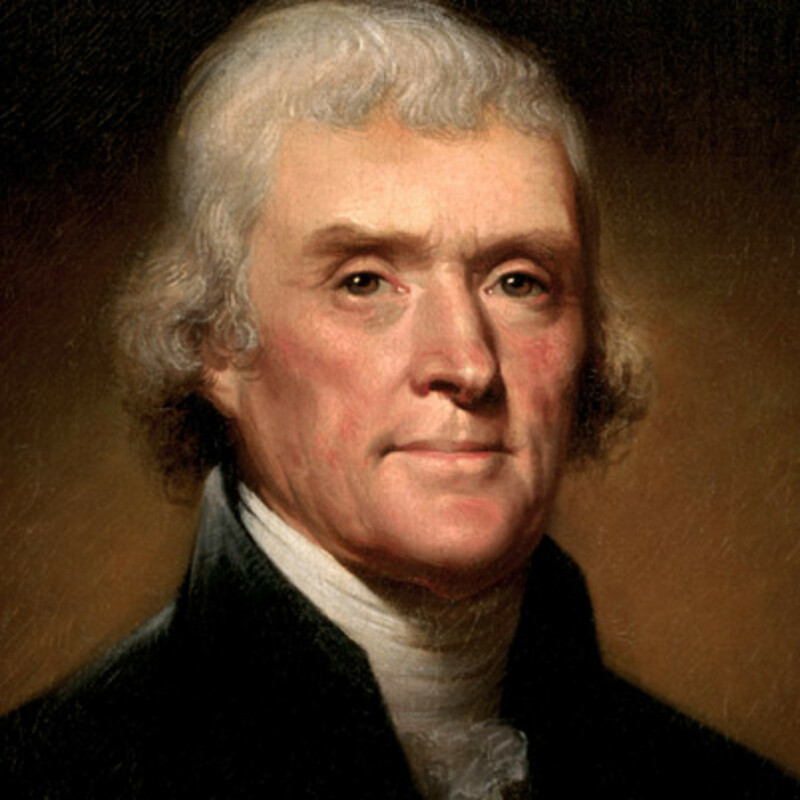 The other is Thomas Jefferson, who had no less than five proposed states named after him. Jefferson himself imagined that eastern Ohio would become the state of Washington (while western Ohio would become the state of Hamilton, named after Alexander Hamilton, one of the Framers of the Constitution and George Washington’s secretary of the treasury). But in the 209 years since President Jefferson left office, no one has managed to successfully honor him in this way. The five proposed states of Jefferson. Don’t go looking for any license plates yet. The first proposed Jefferson came in 1859. It wasn’t proposed in the usual way, but rather a more… renegade way. Already established were the territories of Kansas and Nebraska to the east, which then reached from the Missouri River to the foot of the Rocky Mountains. Settlers in the region felt that the land they were occupying was too far away from the territorial capitals in the eastern parts of the territories, so they just decided to form their own territory. No small matter was the famous Bleeding Kansas, which were the armed battles between Abolitionist and pro-slavery settlers in the territory. Matters out west understandably took a back burner to all the Kansans getting shot. The settlers out west called their new territory Jefferson, and started operating it just like any other American territory. There were plenty of settlers in the region already, due to a gold strike in Arapahoe County, Kansas (now Colorado). The gold rush swept roughly 100,000 new settlers to what is now mostly central Colorado. Governor Robert W. Steele, was the first (and only) governor of the Jefferson Territory. He arrived in the area during the 1859 gold rush. He never struck gold, but he did well in businesses that the gold rush created. The Jefferson Territory was never actually recognized by the federal government, so statehood would not be easy. Many residents of the new territory preferred to remain residents of the Kansas Territory, anyway, so pro-Jefferson sentiments were never unanimous. In 1860, the gold rush was over, and a large number of the new residents moved out. The sudden drop in population was bad news for the territory, so Governor Steele approached the Kansas Territory government, which was still the officially recognized government in the area. He proposed that the Jefferson and Kansas governments merge, but Kansas wasn’t having it. Steele, a Pro-Union Democrat who opposed Slavery, was also a vocal opponent of Abraham Lincoln. When Lincoln was elected president in 1860, Steele found himself isolated, and eventually gave up. In January 1861, two months before Lincoln’s inauguration, Congress redrew the borders of Jefferson Territory and established the Colorado Territory. Governor Steele resigned, and urged all residents of the defunct Jefferson Territory to recognize the new government of Colorado. The territory became a state fifteen years later. In 1870, during the Reconstruction, Congress drafted a plan to divide Texas into three parts. The east part would be called Jefferson, the west would be called Matagorda, and what was left would be called Texas. This proposal never made it out of committee. The next year, Congress came up with a new plan to split the state into four parts, and that was never approved, either. The next serious attempt to carve a Jefferson out of Texas came in 1915. Residents of western Texas noticed that the western part of the state had grown in population, but they felt shafted by the government in the east. Nearly all of Texas’s state institutions were in the eastern part of the state, and most of the money seemed to stay in the east, as well. Adding injury to more injury, when the Texas legislature redrew the congressional districts following the 1910 census, the new districts favored the east. A bill was proposed to cut the western part of the state loose and form a new one: Jefferson. The bill got six votes in the state senate, and the measure died. Support for this state of Jefferson lingered for a while. Enthusiasm for the division was boosted when the governor vetoed a proposed new agricultural and mechanical college for the western part of the state, but by 1921, no one was talking about the state of Jefferson anymore. Armed border guards foment a cheerful, welcoming atmosphere in the newly declared state of Jefferson in northern California and southwestern Oregon. The Great Seal of the State of Jefferson. The two X’s in the middle represent the two states the new state would be carved out of. It’s also supposed to suggest how the governments of California and Oregon had “double crossed” them. Had Jefferson seceded, its population would be 457,859, according to the 2010 census. This would make it the least populous state in the country. However, the secession movement has picked up more adherents and more territory. If there were a hypothetical state of Jefferson today, the boundaries of pro-Jefferson activists would include more territory from both California and Oregon. With the addition of these additional counties, Jefferson would have a population closer to 2.3 million. Today, the state of Jefferson movement is still active. The activists on the Oregon side aren’t as enthusiastic as the California-based secessionists. Bills are frequently brought up in the California state legislature to propose secession, but they never make it very far. As of 2016, 21 counties in northern California (and none in Oregon) have sent declarations to Sacramento to let the state government know they intend to leave. This very rural region went overwhelmingly for Donald Trump in the 2016 elections, so it’s not surprising that the movement has a very conservative edge to it. Despite the locals feeling fed up with their state government, the viability of the new state is dubious, since its low local tax base would make Jefferson one of the poorest states in the country.